Socio-cultural: At the elementary school where the research was conducted, 72% of students receive free or reduced lunch and 47% of students are English Language Learners, (Ed-Data Education Data Partnership, 2017). The total school population consists of 893 students of which 672 are Hispanic/Latino, 117 are white, 46 African American, and 58 are marked as other. Teachers will need to focus on different strategies within the curriculum to in order to fulfill the task of addressing students’ socio-cultural needs. Informational: Teachers feel comfortable when accessing on-line tutorials which will come in handy when trying to learn more about the Guided Reading curriculum. Teachers can also obtain information through tutorial videos and demonstration videos as well. Technical: Currently,students have access to 1:1 devices while in school. Yet, during intervention students do not access any technological tools, unless their designated intervention teacher incorporates it into his or her teaching. The majority of the intervention teachers do not have access to technological tools, but the classroom teachers do. Classroom teachers can access more technology during their intervention sessions, but are not required. The Guided Reading curriculum does not have a technology link for students to engage with. Dervin tells us that each individual is unique in how they think about and process information in their day to day experiences. Many aspects come into play when individuals are trying to make sense of things. Different individuals define their own steps on their own terms, but can come up with the same conclusion. Sense-making happens in everyday experiences. In reference to my project, this means that every single student can have his or her own path to understanding the material that is presented to them. It reinforces my current belief that the cookie-cutter curriculum that is sometimes used to teach students do not support all of our students varied learning styles and their sense-making methods. Therefore, I think my project is imperative for teachers in learning how to deliver the Guided Reading curriculum in the best possible manner to all of our students and keeping in mind that each student learns in a distinct manner and we must see each child as a whole in order to better understand how they understand and process the information they are acquiring. Click below to enlarge and view the video that includes a summary of the research I collected on the effects of Guided Reading on Reading Comprehension and Reading Accuracy. To the right you will find my logo. My logo consists of a blue circle made of puzzle pieces and each piece has an important component needed for curriculum implementation. Without any of the components, curriculum implementation would not be done effectively. I chose the color blue because it is a color that promotes trustworthiness. The words are written in bright yellow because it is vivid and produces a nice contrast. The color yellow is also often used in children's products. In the center of the circle, there is a white puzzle piece with the word "Implementation" written in red for contrast. To the left of the circle, there is a hand balancing a puzzle piece with the word "Curriculum". This puzzle piece fits perfectly into the white circle to overlap the words Curriculum Implementation. 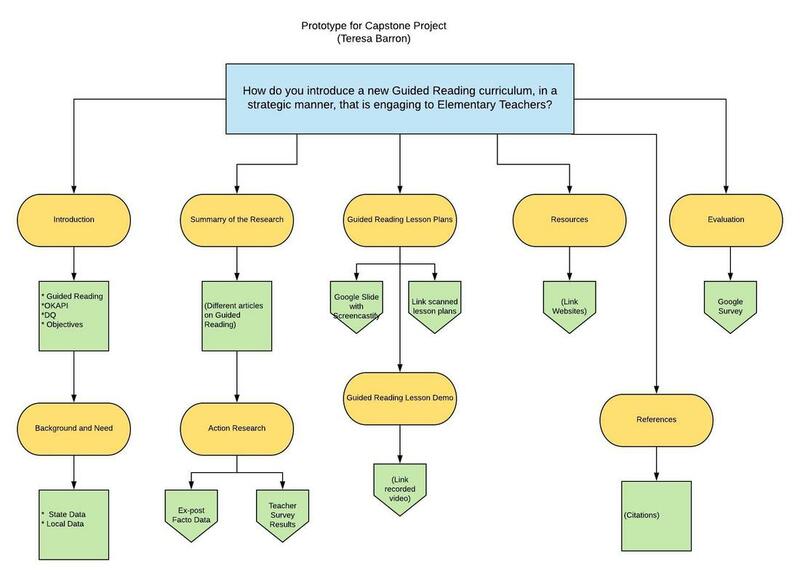 Once the Curriculum piece is inserted, from the top down, the pieces in the center read "Guided Reading Curriculum", which is the focus of my research.